Antica Gelateria Fiorentina – entrance. 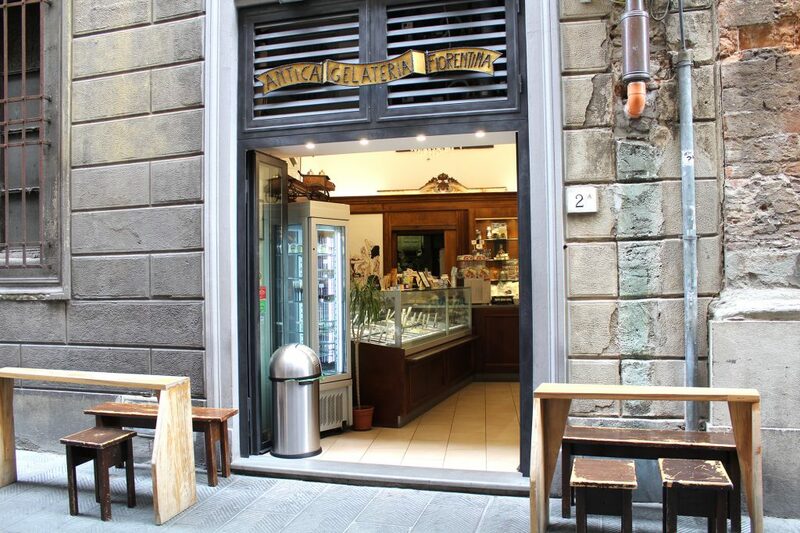 Really close to the Mercato Centrale Florence you will find this hidden gem called Antica Gelateria Fiorentina, full of amazing gelato flavours. I simply couldn’t decide which flavours to pick and their staff was kind enough to help me out, by suggesting a few flavours and giving me a taste. They were so attentive doing their job that every time I would ask to try some unconventional flavour of gelato they would promptly give me a heads up if there was any special ingredient in it, like alcohol, nuts, or even, rose water. Hubby: Enkey (dark chocolate), Matcha, and Biscotto (Italian for biscuit). Mine: Fior di latte, Buon Talenti, and Persiano. Enkey (dark chocolate), Matcha, and Biscotto. Fior di latte, Buon Talenti, and Persiano. I think we should have played the lottery that day after picking our flavours! Everything we chose at the time was absolutely spot on! 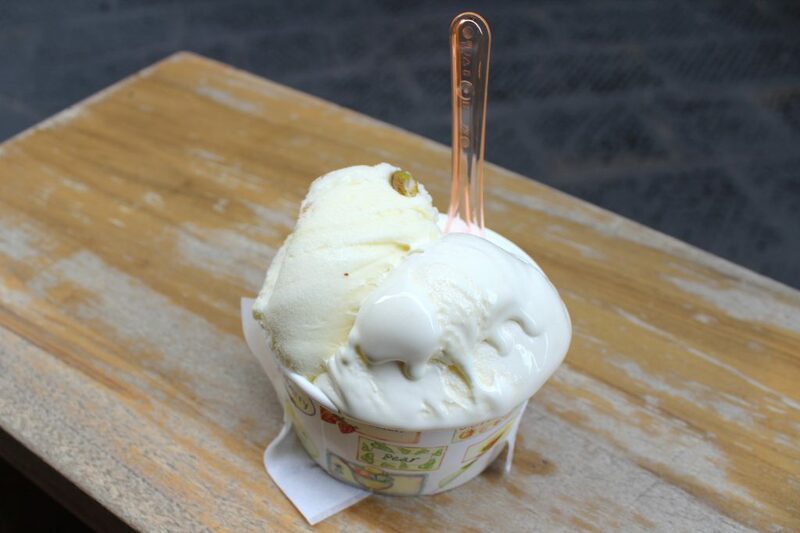 Fior di latte is a cheese based flavour, Buon Talenti is based on a very traditional Florencian cream, and Persiano is packed with some hints of Middle Eastern flavours. Truly majestic! 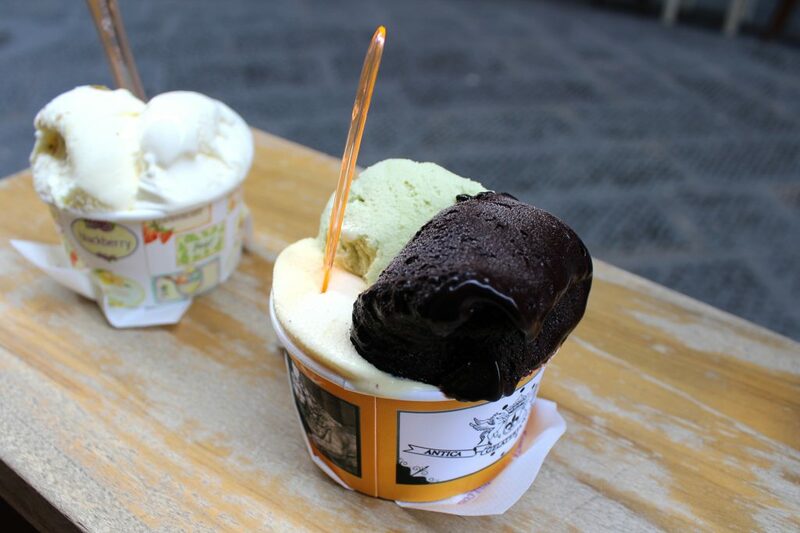 Delicious gelato, with traditional and a good collection of unusual flavours. Excellent place if you want to surprise yourself with new gelato combinations. Staff is also great, super kind, helpful and polite.